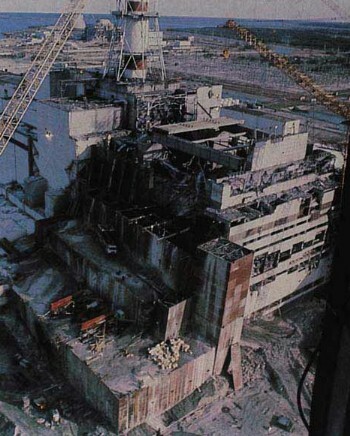 And, of course, there are the tragedies of nuclear power. Most notably, Three Mile Island, and especially Chernobyl. There’s a charitable program, operating internationally and particularly near Chernobyl, with which you can volunteer to really make a difference in the lives of kids who have been born since the tragedy, surviving the disease and birth defects that are their lot in life for coming into the world in that particular place, filled with radiation and death, as it is. Chernobyl Children’s Project International uses the good will and hard work of international volunteers for medical and orphanage support work, building and construction, and recuperation programs. CCPI also does advocacy, education, and outreach in Belarus and globally, as so many of us are under the mistaken impression that the “cleanup” meant that problems are over. Sadly, that couldn’t be further from the truth. The organization does powerful work with juvenile cardiac care patients (huge numbers of kids need heart surgeries, and CCPI is making them more available than ever), orphanages, nursing, and hospice programs for the radically high numbers of terminally ill children.